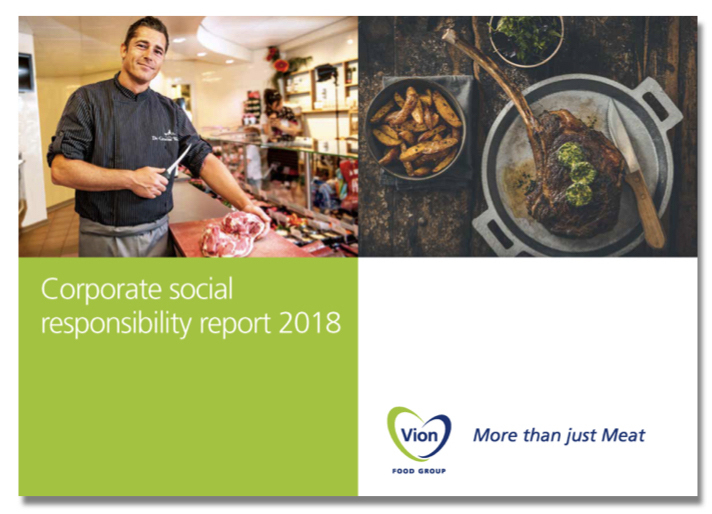 Today, Vion will publish its Corporate Social Responsibility report 2018 (CSR). Via interviews the report goes into more detail on the nutritional value of meat for, among others, top athletes such as Tom Dumoulin, who consumes 25 grams of protein six times a day. Minister of Agriculture, Nature and Food Quality Carola Schouten emphasises the importance of our farmers as the basis of our food systems in our society. Last year, Vion was the first company in Germany to be certified according to the criteria of the German animal welfare organisation for dairy cows. In addition, De Groene Weg, the brand for Vion’s organic meat, launched an EKO code for its pork supply chain in order to make its food production process more sustainable. In South Korea, Vion won the Hamel Business Award for its investments in sustainability and animal welfare. This year, Vion will invest €35 million in its Boxtel location. By working more sustainably at this location, the company will save more than a million kilometres on transport.